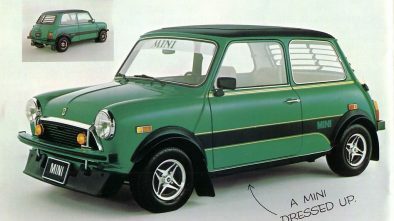 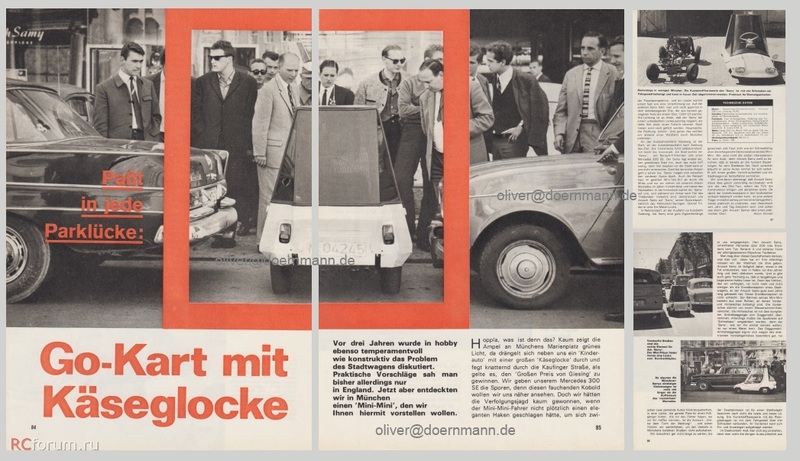 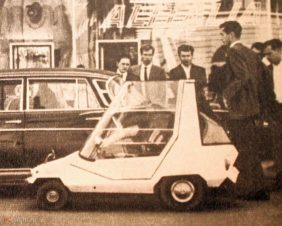 In the mid-60s, the problem of a city car was extremely important. 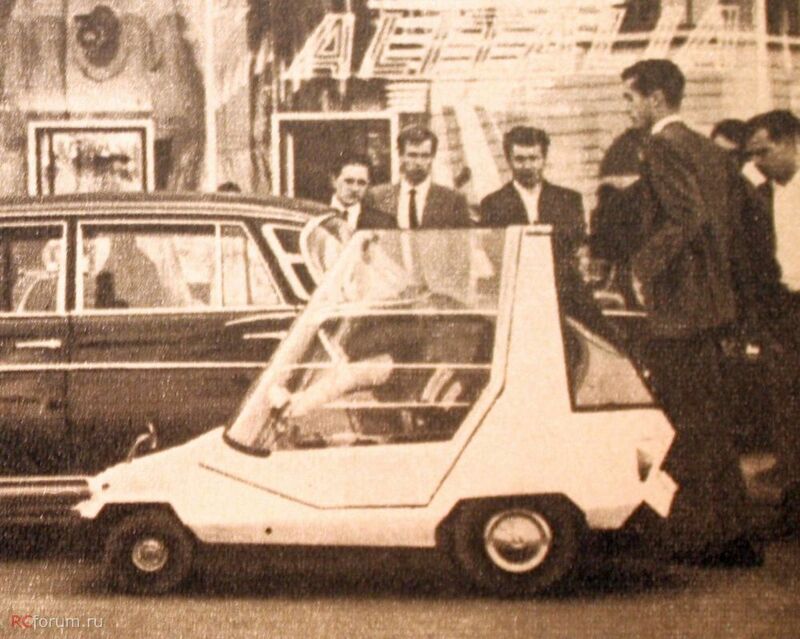 Practical proposals were seen so far, however, only in England. 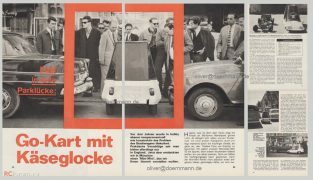 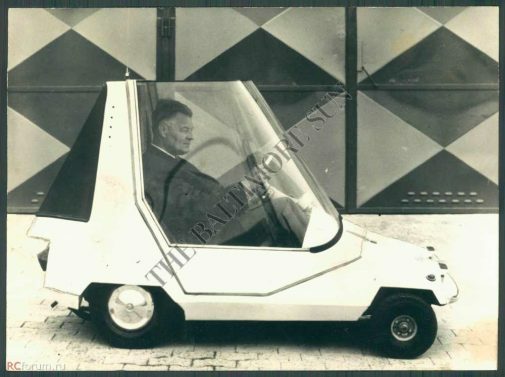 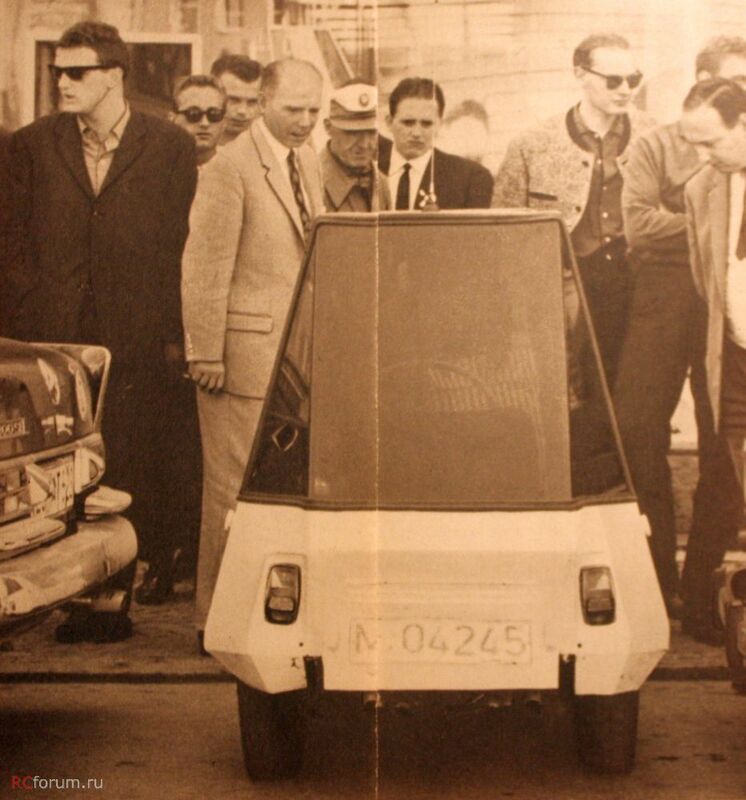 But in 1965, Anuch Samy from Munich made this cute microcar called the Samy. 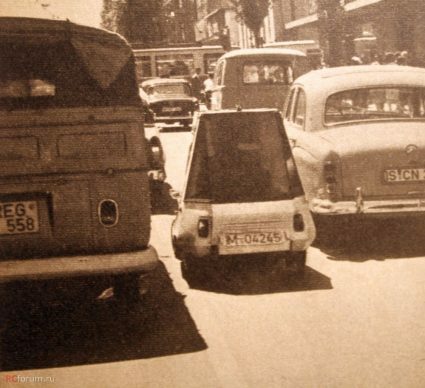 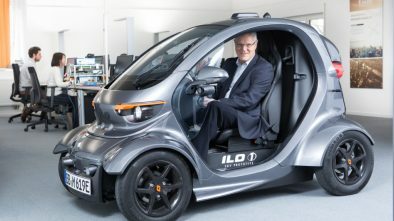 The car measures seven feet (2.1 meters) from front to rear, stands four feet (1.2 meters) tall and accommodates one person — the driver. It was built on a special chassis with rear engine and rear wheel drive. 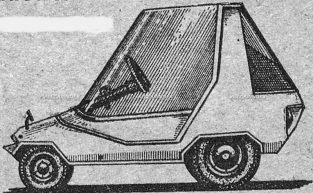 Front wheels were smaller than rear. 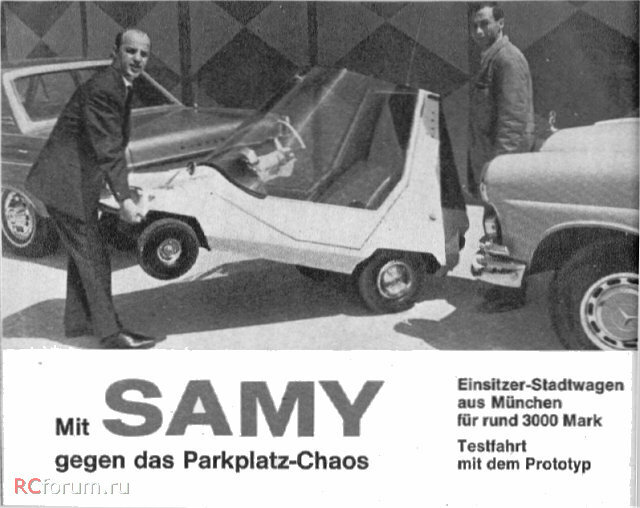 The Samy was equipped with simple front suspension and independent rear suspension with coil leafs. The front panoramic window was made of Plexiglas and gives the driver excellent views from its position. 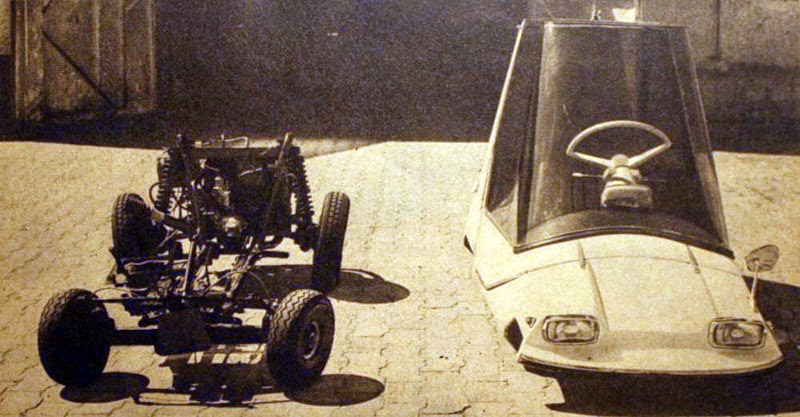 The steering wheel had a very special shape and actually was a quarter of real steering wheels. 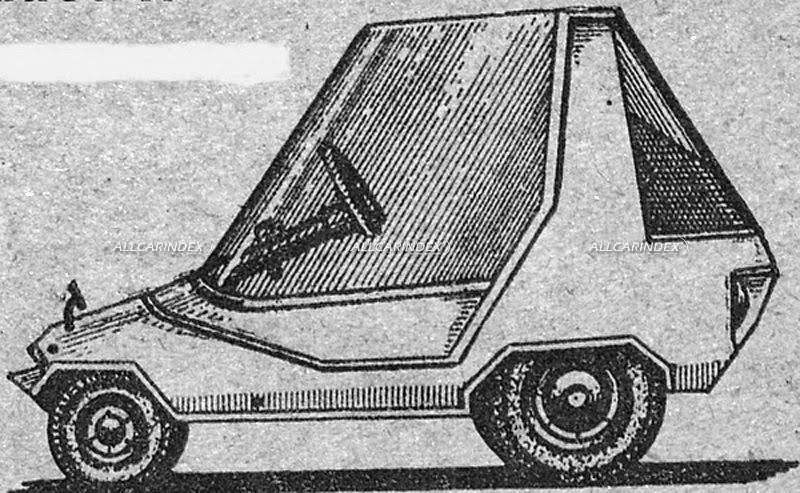 The Samy had two rectangular headlights, two taillights and rear view mirror located near the front left headlight.